Doing an inductive study of any portion of Scripture is like the heart-pounding, muscle-straining, exhilarating rush of a wilderness trek at 7,000 feet above sea-level. The clear, pine-scented air is brisk and bracing. Your booted feet log in the miles over wildly beautiful terrain, and at the end of it, you might be a little exhausted, but you cannot wait to do it again. The book of Hebrews, like all of Scripture, is teeming with truth that we need to hear, understand, and apply. If you are in Christ (meaning: if you have trusted in the life, death, and resurrection of Jesus as your means to have peace with God and are now a part of his family), then you have all the tools you need to do this study. You have been given a new heart of flesh in place of your old heart of stone (Ezekiel 36), you have the mind of Christ (1 Corinthians 2:16), and you have been given the Holy Spirit (John 14:26). This class will meet on Tuesday mornings beginning January 23 and ending March 20. 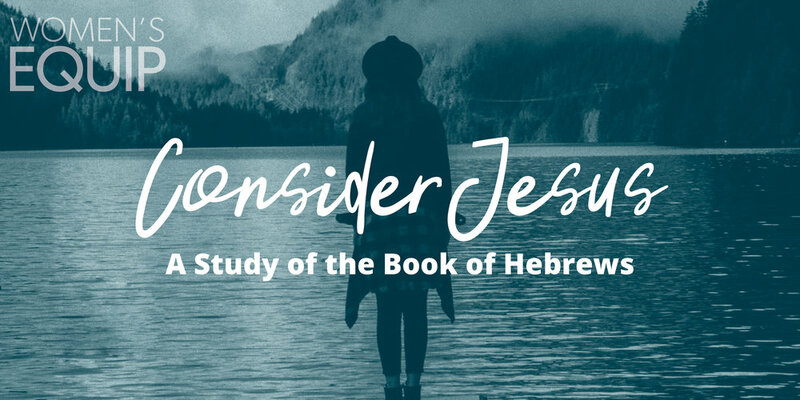 We will study the book of Hebrews chapter by chapter, doing homework throughout the week and then enjoying group teaching and small group discussion as we gather on Tuesday mornings. Cost of this class is $10 to cover the cost of materials.